How Does Walking Promote Spinal Health? There’s one thing most of us do daily in one form or another that can promote spine health—the simple act of walking. In fact, a new study suggests the act of putting one foot in front of the other on a regular basis may be the simplest solution for protecting your spine and keeping it healthy as you get older. 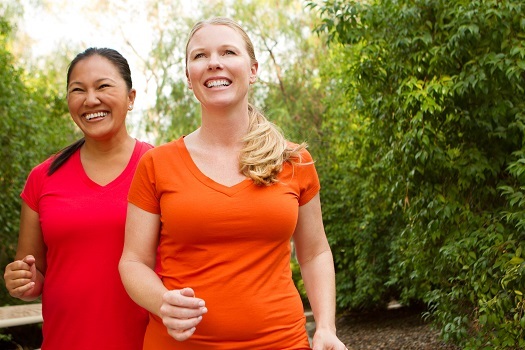 Walking can optimize spinal health, alleviate pain, and minimize the likelihood of needing surgical interventions such as alternatives to spinal fusion. Los Angeles residents should explore these results and learn more about how walking can be good for the spine. • How often do you walk? • Do you currently have LBP? • Do you have other chronic diseases or conditions (comorbidities)? It was discovered that more than half of the study’s participants with LBP walked for more than half an hour at a time but did so fewer than three days a week. More than 70 percent of those surveyed also reported walking fewer than three days a week, except they walked for more than an hour per session. The study did find a negative connection between walking for more than 30 minutes at a time more than three times a week. However, individuals who hit the minimum of 30 minutes of walking per session at least three days a week were less likely to experience lower back pain. Walking for 30 minutes a day roughly every other day is certainly a good first step when it comes to keeping your spine healthy, but you can go a few steps further and combine regular walking with healthy eating, posture, and exercise habits. Also, be proactive about checking in with your doctor or a Los Angeles spine surgeon if you experience sudden or worsening spine-related discomfort. For more information on methods that promote optimal spine health, reach out to the back health pioneers at The Spine Institute. Our industry-leading physicians have unparalleled expertise in every aspect of neck and spinal health, and our state-of-the-art technology and innovative treatment methods are second to none. Call one of our friendly representatives today at 310-828-7757 to schedule your personal consultation.